International experience is a big priority for MBA students. One third of business school applicants count international opportunities among the most important things they look for in an MBA program, according to BusinessBecause data. 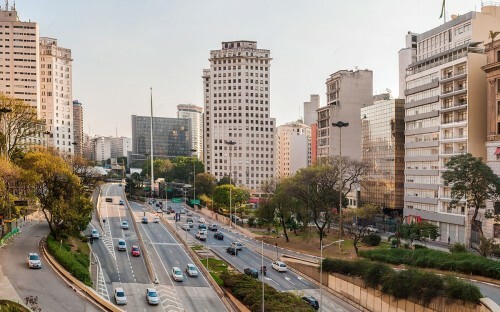 On The Lisbon MBA, students get the chance to experience foreign business through the school’s International Labs, which take place in one of three locations—São Paulo in Brazil, Shanghai in China, or Mexico City in Mexico—over the course of two months in the third term of the program. Bruno Oliveira, a Portuguese graduate from The Lisbon MBA, took part in the International Lab in Brazil in 2016. He’d previously been working in Luanda, Angola, as a technical commercial manager, and was looking for an MBA program that would broaden his horizons. During Bruno’s International Lab, he worked on a consulting project with contract packaging firm Sumol + Compal, a small company looking to break into the Brazilian market. “The challenge was to develop a business model to open up the Brazilian market based on a strategy that would allow the company to successfully and profitably reach this goal,” Bruno explains. Despite having worked in Angola, Bruno didn’t have a wide array of international experience behind him. The challenges presented in approaching a new market were significant and rewarding—firstly, learning to leave his prior conceptions of marketing at the door. “It was impressive how a certain product or service can have such a different impact in different markets,” he says. “[The biggest lesson was] the importance of studying your target market and delivering your product to the right channels, with the right message. It should never be underestimated. Where do you start when you have to leave behind everything you think you know? This was just one of the questions that Bruno learned to answer during The Lisbon MBA. “There are a series of logistical barriers to overcome when you are trying to deliver a product to another point on the map,” he explains. “The business model and business strategy are only the beginning. Bruno now runs the communications and marketing department at Portuguese engineering and management consultancy firm Tecnoplano. Ultimately, through his experience on the International Lab, he gained the confidence and expertise to adopt new business models. Bruno’s one piece of advice for businesspeople considering The Lisbon MBA? Enroll.